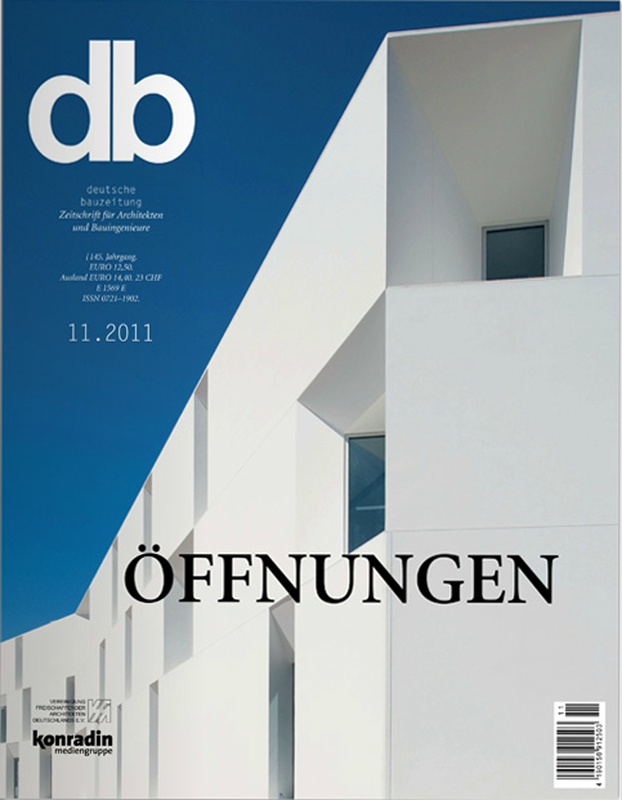 SOMOS ARQUITECTOS PUBLICATIONS: DB DEUTCHE BAUZEITUNG. SOMOS.arquitectos published in DB DEUTCHE BAUZEITUNG, 2011.11. 123 social housing in Vallecas 51 mentioned in an article titled "Klasse in der Masse" by Rosa Grewe. Diskurs: Letters from Spain.